Earlier this year, authorities accused 18-year-old dual US-Israeli citizen Michael Kadar of being the individual behind a terrifying, nationwide wave of bomb threats at predominantly Jewish schools and community centers. This week, it emerged authorities also believe Kadar was advertising a “School Email Bomb Threat Service” on AlphaBay, the massive dark net market which law enforcement raided and shut down last month. On Monday, Seamus Hughes, deputy director of the Program on Extremism at George Washington University, tweeted that he came across a newly unsealed search warrant in Kadar’s case while looking through public federal court records. In the warrant, authorities claimed Kadar was Darknet_Legend, an AlphaBay seller advertising bomb threats for just $30-60 a pop (for an extra $15, Darknet_Legend said he would attempt to frame someone else). Authorities believe Kadar, who was arrested in Israel on March 23rd, made somewhere in the neighborhood of 2,000 threats worldwide using technology to mask his voice and location. Approximately 245 of those calls were in the US, and Kadar was reported to have been in possession of the equivalent of $500,000 in Bitcoin at the time of his arrest. The AlphaBay dimension adds yet another weird, dark dimension to the case, as it’s unclear as of yet who exactly paid for Kadar to allegedly phone in the threats. The unsealed search warrant noted that the feds were closing in on at least one suspect, and that the “FBI and local authorities in California intend to pursue criminal charges” against that individual. 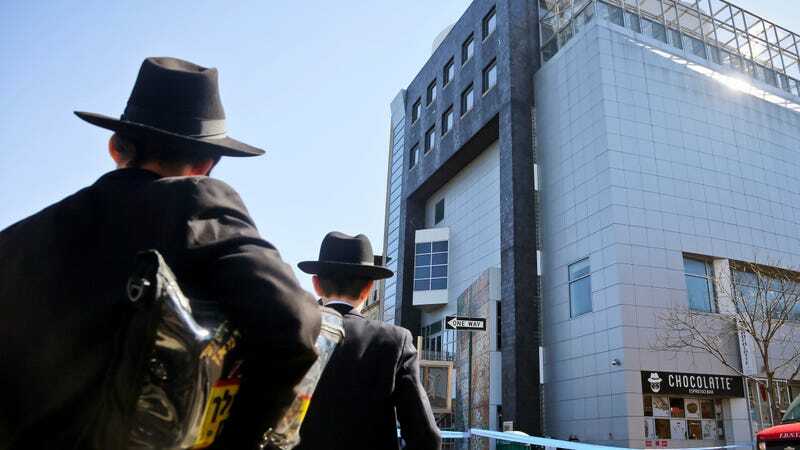 It certainly sounds as though Kadar might have been paid off by an anti-Semite (or multiple anti-Semites) with an axe to grind, though it’s not entirely clear whether phoning in threats to Jewish centers was also his screwed up personal hobby. Dark net market are designed to function much like legal digital markets, i.e. eBay or Amazon, except they are only accessible by users who have specific software like anonymous communications network Tor, and mostly sell black-market goods and services. Usually transactions are in cryptocurrencies like Bitcoin held in escrow during a purchase, which affords some anonymity for users but makes them hives for scammers. AlphaBay was one of the most prolific dark web markets in the entire world, and possibly took in as much as $600,000 to $800,000 a day. The bust was launched in coordination with the takedown of another site, Hansa, and likely ensnared thousands of buyers and sellers.